Realistico needs certain settings to be displayed correctly. To achieve the results you see in the screenshots, follow this tutorial. Realistico is compatible from Minecraft 1.8 to Minecraft 1.13.2 (which means every version in between is included as well). A fresh install is recommended. For instructions, follow this tutorial. 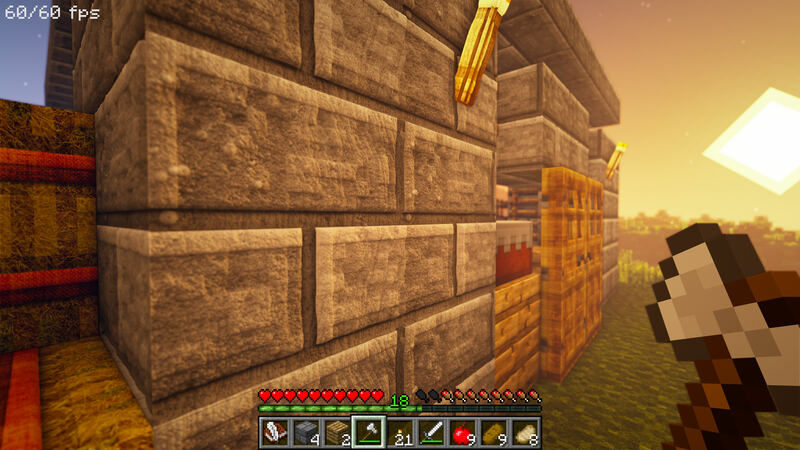 OptiFine allows Minecraft to run shaders, while also improving its performance. Make sure you already downloaded and run the latest version of the game. Close both Minecraft and its launcher (if running). Download the latest version of OptiFine here. The Optifine version must match the Minecraft version you intend to use. 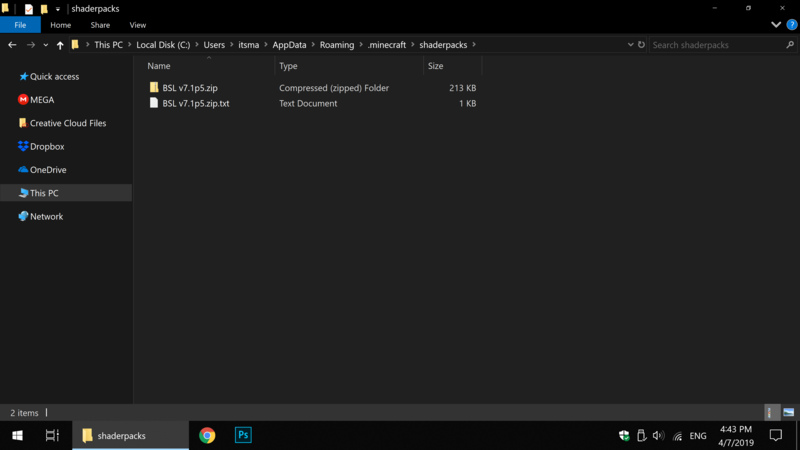 Change the Minecraft directory (if needed) and click Install. Once the message OptiFine is successfully installed pops up, click OK.
Open the Minecraft launcher, click the Launch options tab, and select OptiFine. Optional: rename the profile whatever you like. Keep the profile open, as we’ll now allow more RAM to the game in the next step. Shader packs enable the 3D effect of Realistico. Disclaimer: to ensure the best quality, only use one of the recommended shader packs. In this tutorial, we will use the BSL shader pack, as it performs very well in any lightning condition. Realistico supports PBR. There are two main PBR formats: SEUS and Continuum. Depending on the shader pack you use, you may need to load an add-on on top of the base pack. The add-on is currently named realistico-08-full_v3_Continuum.zip. By default, Realistico comes with SEUS formatted PBR specular maps. 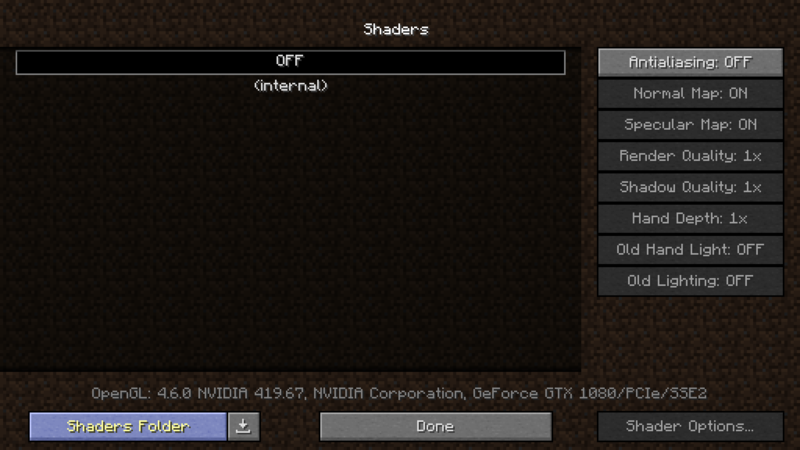 The table below shows which shader packs require the add-on. Open Minecraft (make sure Optifine is installed). Go to Options, Video Settings, Shaders. Click on Shaders Folder to open the shaderpacks folder, then drag and drop the BSL v7.1p5.zip file into the shaderpacks folder. 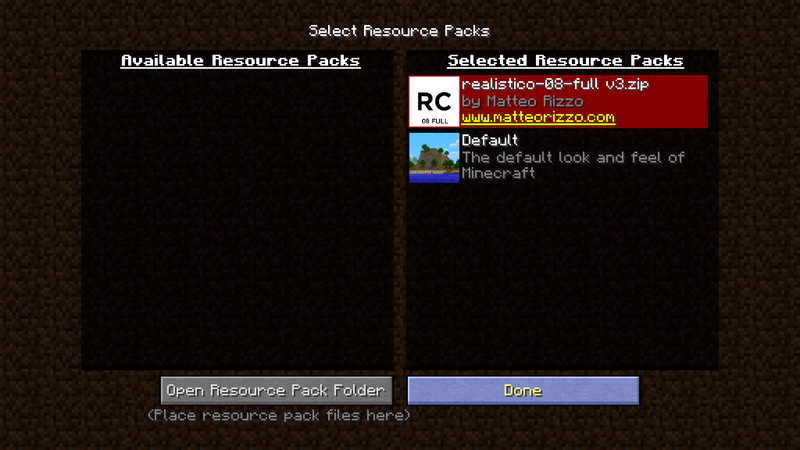 From the main menu, go to Options, Resource Packs. Click on Open Resource Pack Folder to open the resourcepacks folder, then drag and drop the realistico-08-full_v3.zip file into the resourcepacks folder. 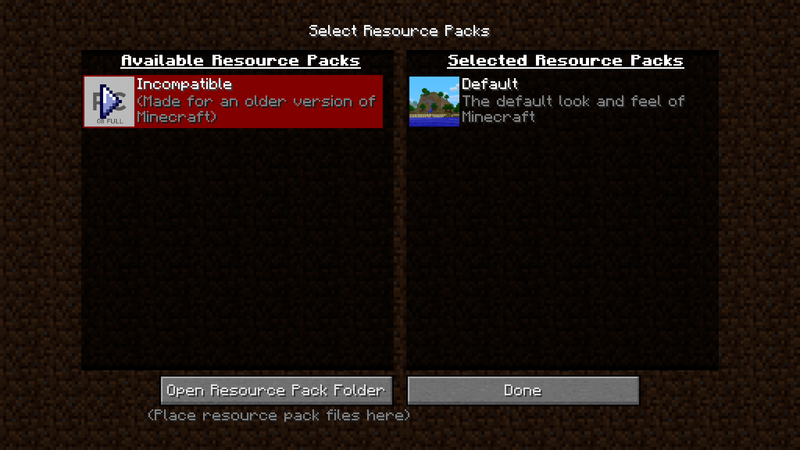 Exit the Resource Packs screen and re-open it. Click on the pack to enable it. 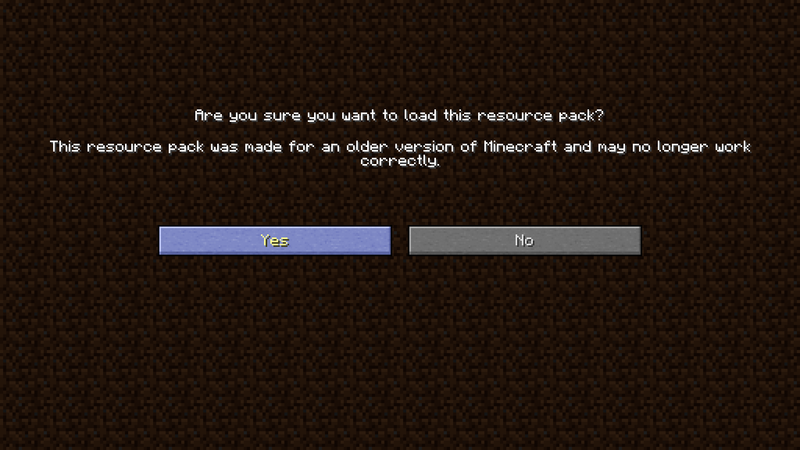 The pack will be displayed as “Incompatible (Made for an older version of Minecraft)” and a warning message will pop-up: click Yes to load the pack. Click Done to load the pack. Disclaimer: the results seen in the screenshots are only guaranteed if you use the settings I provide. Last update: 7th of April, 2019. I get 60+ FPS at 1440p in windowed mode (2560x1440 on a 3840x2160 monitor). I’m using a 3.40 GHz CPU, 16GB of RAM, and a GTX 1080. The game is installed on an SSD. You can find answers to your questions at https://matteorizzo.com/faq.